Rebar Detailing – Camblin Steel Service Inc.
At Camblin steel, our detailing department provides placement drawings for submittal and field use. Our in house team produces plans and details which adhere to the most stringent contract requirements. We have experience with many Federal and state projects, including many falling under DOD, COE, DSA, or OSHPD jurisdictions. Placement drawings can always be sequenced in the most efficient way possible, saving you time and money. With our team, we create highly accurate detailed placement drawings that stand out from the competition. We use the latest CAD technology and have more than 150 years of combined experience. 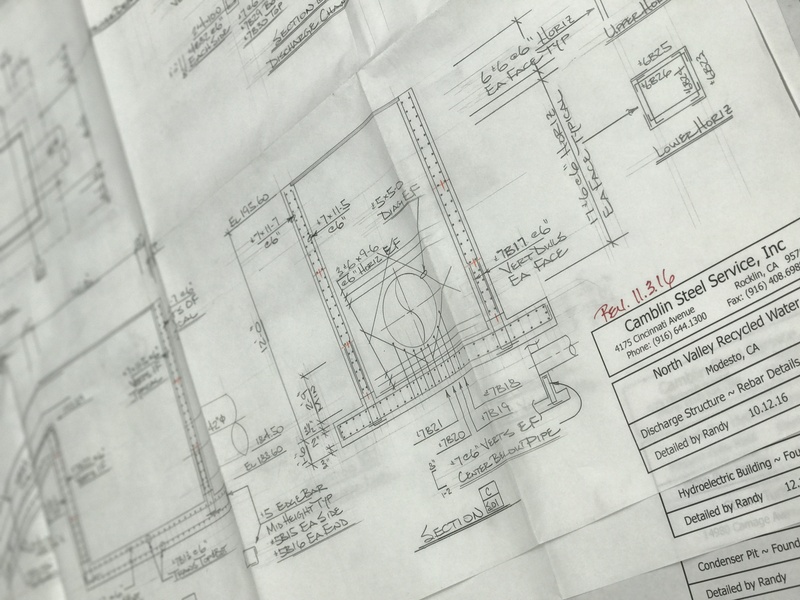 When used in conjunction with the contract documents our drawings assist in identifying potential conflicts, and help owners, architects, and builders visualize the finished product. At Camblin steel, we know that investing time and effort in detailing ultimately saves time and money in fabrication and on the job site. Accurate drawings are one way that we make customer service a priority. For the best rebar detailing in the industry, contact us to have our experienced team work for you.